Where vintage ties and cuffs are born again. I don’t use these very much, even though they are really swell looking cuffs. They just demand that special occasion. Like when I’m going for a game of poker with some Italian mobsters. 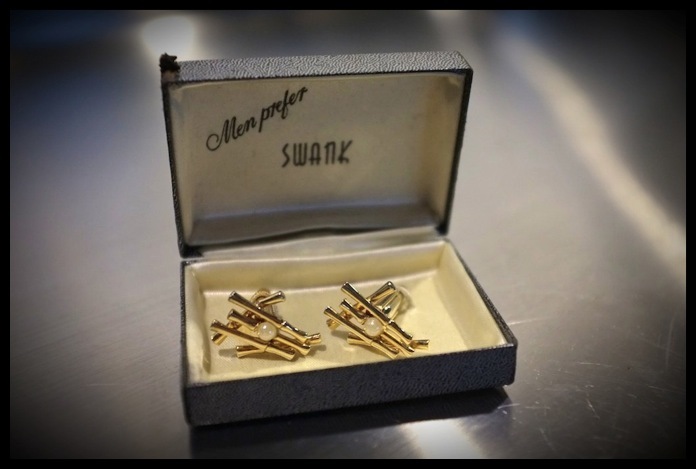 Men prefer Swank. Of course, we do.